← Happy National Cereal Day! 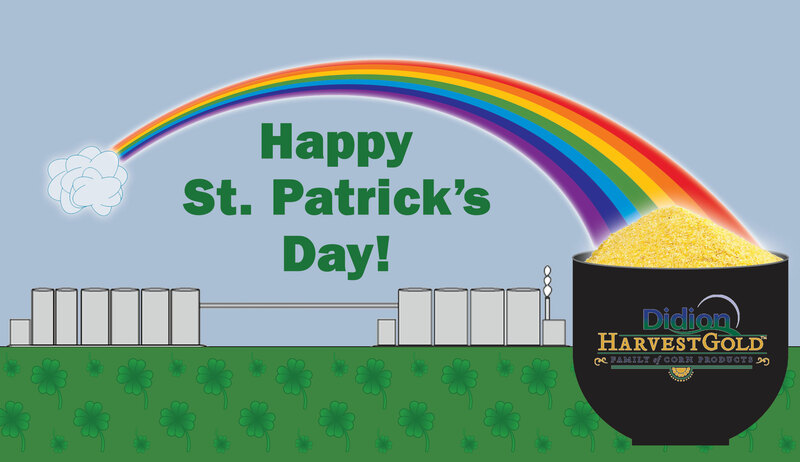 Irish legends about Leprechauns and their pots of gold remind us of our very own pot of gold – that is, HarvestGold. Have you ever wondered where the brand name “HarvestGold” comes from? Mama Didion was Irish, but our Celtic heritage wasn’t the main inspiration for this name. Harvest alludes to the personal relationships we have with local farmers. Our knowledgeable grain procurement team watches the markets and works closely with local farmers to make the best corn marketing decisions. We purchase grain directly from farmers as much as we can because we know that leads to greater profitability for farmers and higher quality products for our customers. 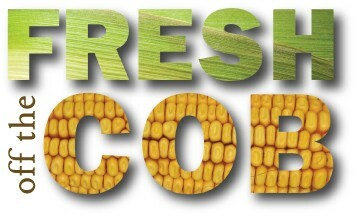 Gold refers to both the rich golden color of our corn products and the gold quality standards we uphold. Our quality assurance team has rigorous and comprehensive product testing procedures. Learn more in Corn Milling 101 Part 4: Product Quality Tests. Unlike the hidden pots of gold in Irish legends, Didion HarvestGold corn products can be found all over, in both food and industrial products. Didion’s corn ingredients can be found in your favorite cereals, snacks, baked goods, cornbread and muffin mixes, pizza, breadings and batters. Didion corn grits are also used in the brewing industry as an ingredient in many local and national beer brands. There are many industrial uses for corn as well. Corn is used in foundry molds for sinks and bathtubs and helps hold the shape of charcoal briquettes and plywood. It is also used as a carrier in the production of cat litter and rodent control products. Whether you enjoy a Pot O’HarvestGold or a green beer, we wish you the luck of the Irish as you celebrate St. Patrick’s Day this weekend. This entry was posted in Let's Be Corny, Products, Quality Assurance and tagged corn, irish, St. Patrick's Day. Bookmark the permalink.